Animal Care Expo offers an unparalleled opportunity for veterinary professionals to earn up to 16.5 hours of RACE-approved CE in animal welfare, shelter medicine and community practice topics while also networking with 2,000 experts in the field of animal care, control, rescue and emergency services. Advance registration is available until January 31, 2019. Use discount code HSVMA19 for an extra HSVMA discount of $25 off conference registration. Visit the Animal Care Expo registration page for more information at www.animalsheltering.org/expo. Monday "Learning Labs" (see below) are only $50 and include lunch. The remainder of the CE sessions are covered by the full conference registration. The veterinary professional’s role in animal advocacy: How to maximize your impact in improving animal welfare in the clinic, the community and beyond. This learning lab designed to guide shelters through the most hair-pulling time of year: kitten season. Presenters will break the season down into three distinct phases and guide attendees through the science behind managing the influx and optimizing live outcomes during each phase. View more information on the sessions and the great networking opportunities and events at Animal Care Expo sessions at www.animalsheltering.org/expo. 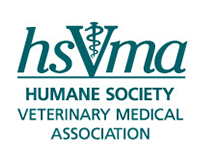 Please contact HSVMA at [email protected] if you have any questions regarding the RACE CE for Animal Care Expo 2019.